Kenwood visited the garage of a large detached home in Tunbridge Wells following concerns of Woodworm. 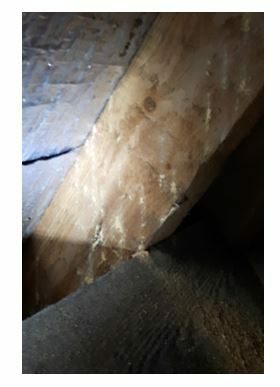 Kenwood attended and indeed found evidence of active woodworm affecting the roof timbers of the garage. Typically, woodworm is identified by the small holes left behind when the insect has exited the wood. 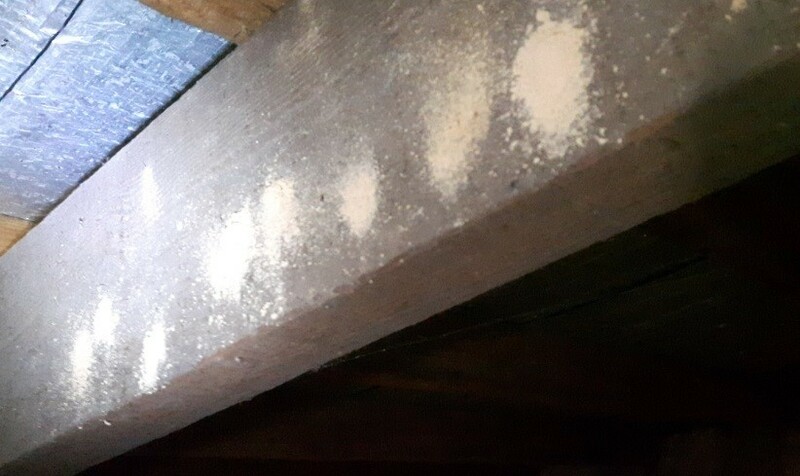 In this case it was possible to see the piles of dust left behind (known as frass), settled on the timbers and in some cases trailing down the timber below the emergence point of the insect damage. This requires treatment by applying Kenwood insecticide, this treatment is backed by our 20-year guarantee providing our client with peace of mind.